Hello, friends...Happy New Year! 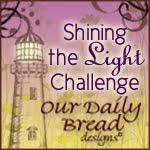 There's BIG NEWS happening at Our Daily Bread Designs...as of today our new name will be Divinity Designs, LLC. 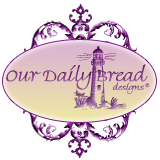 The company is teaming up with a new partner...thus the rebranding. 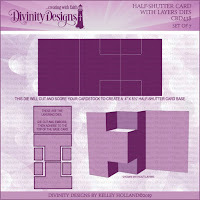 You can read more about all of the exciting changes over on the Divinity Designs Blog. 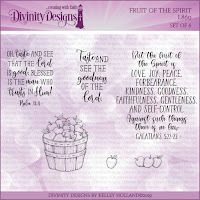 The first new release for 2019 by Divinity Designs is a fruity one! 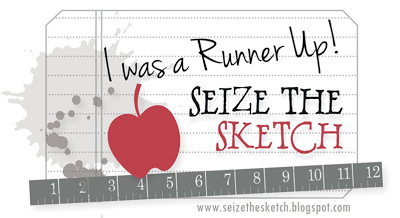 My first sample was made with the new Fruit of the Spirit stamp set and the Flourishes Embossing Folder...Yea! 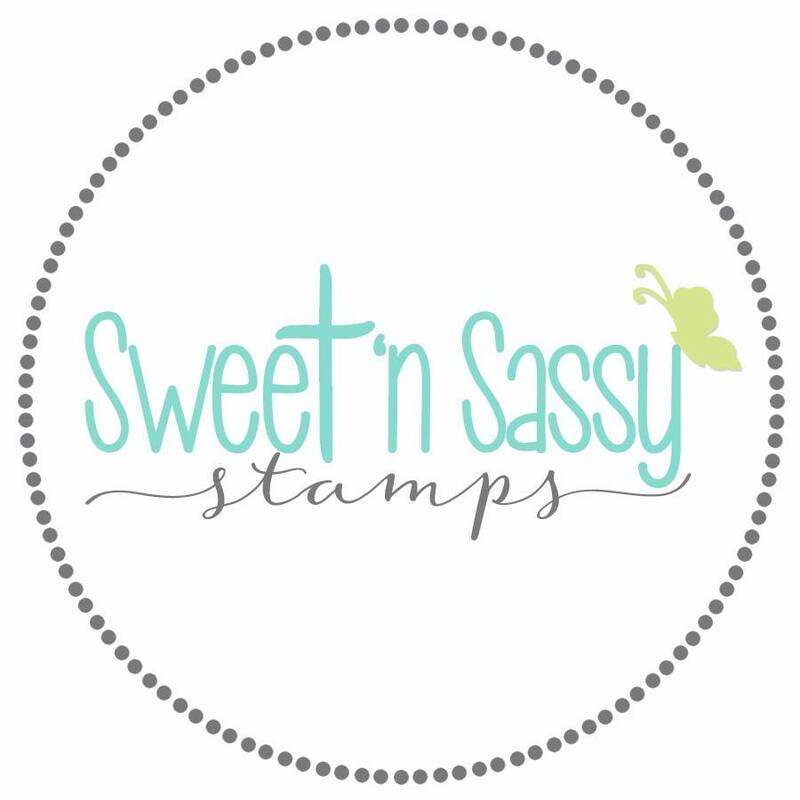 Embossing Folders! 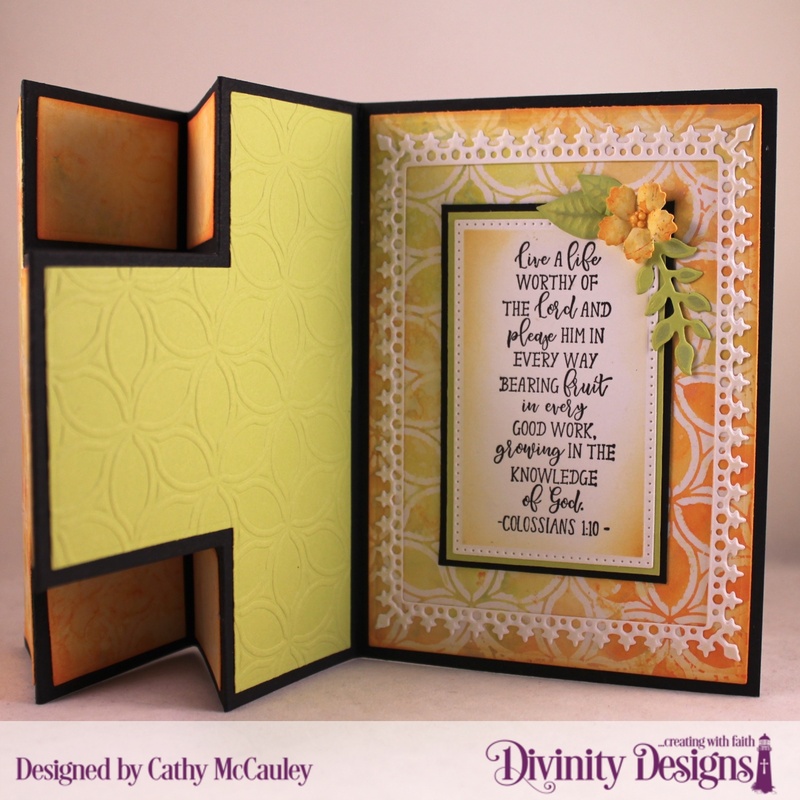 Creative Nugget: The new Flourishes Embossing Folder was used on the background panel. 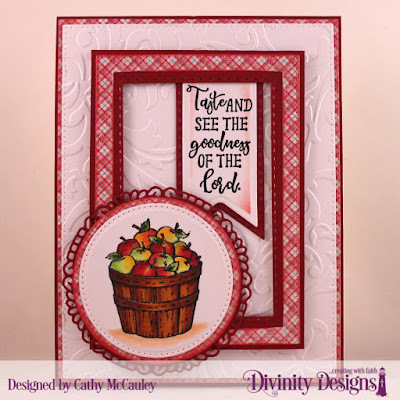 Pierced Rectangle, Pierced Circle, Circle, Fancy Circle and Double Stitched Rectangle Dies were used to cut each of the panels and paper from the Holly Jolly Collection. The basket of apples from the Fruit of the Spirit stamp set was colored with Copic Markers. The sentiment was stamped on banners cut with the Pennant Flag and Double Stitched Pennant Flags Dies. 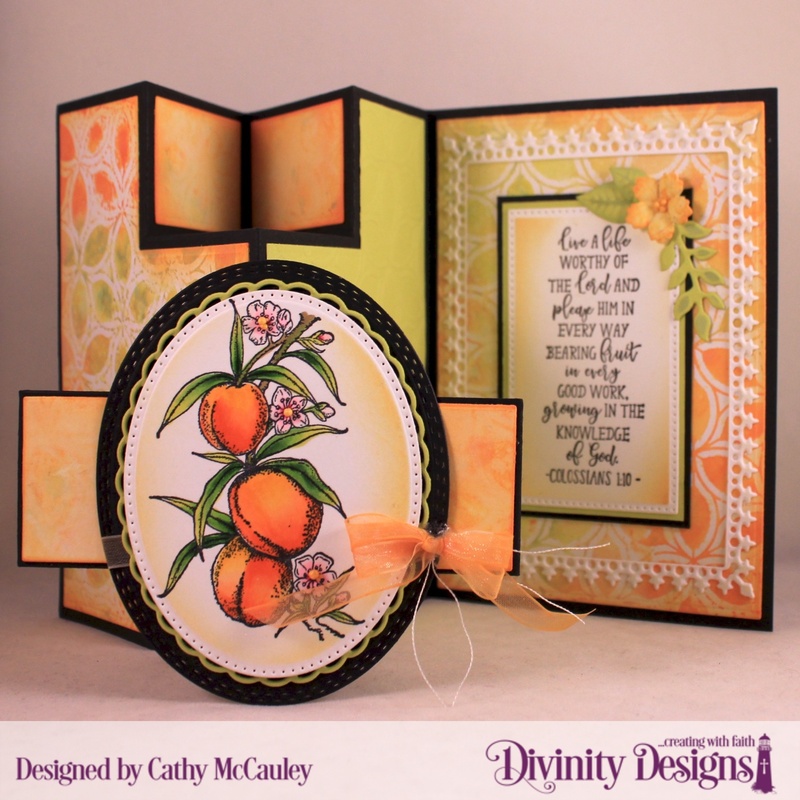 My second sample was made with the new Peach Branch stamp set, the Half-Shutter Card with Layers Dies and the Belly Band Dies. Creative Nugget: The card base was cut with the Half-Shutter Card and Layers Dies. The layers were created by applying Oxide inks to the new Petals Stencil, spritzing the inks with water and laying the stencil down on a heavy piece of Mixed Media paper and rubbing the back of the stencil with a paper towel. 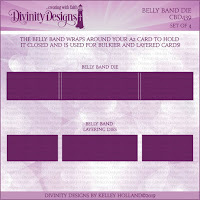 The layers on the Belly Band were also created with Oxide inks. The Peach Branch was colored with Copic Markers. 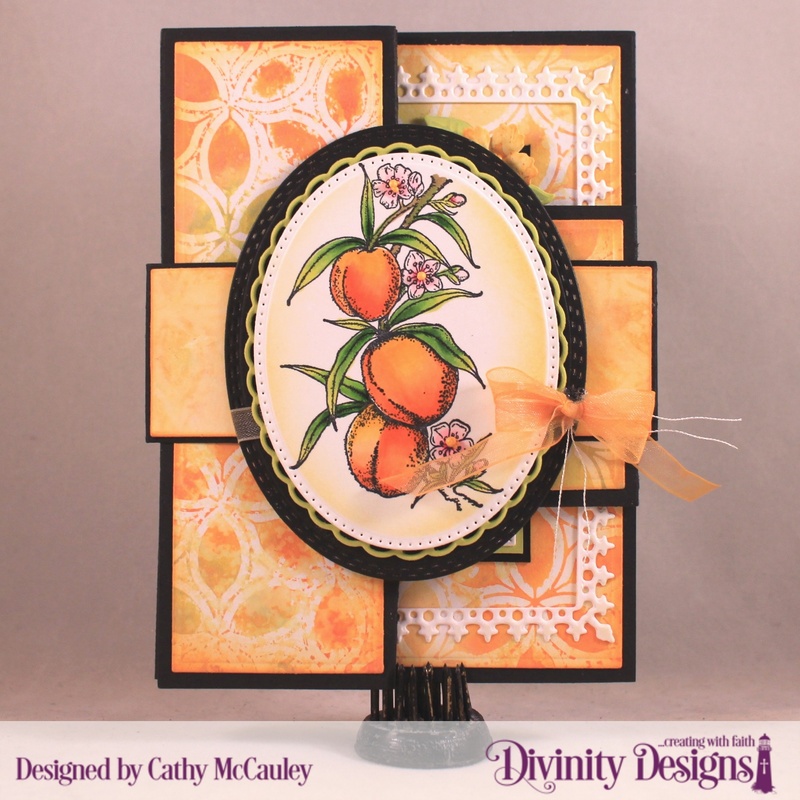 Pierced Oval, Oval Stitched Rows, and Layered Lacey Ovals Dies were used to frame the peaches. 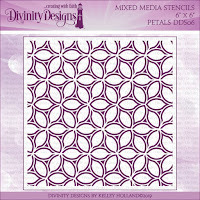 The next photo shows how the Petals Stencil can also be used for embossing. 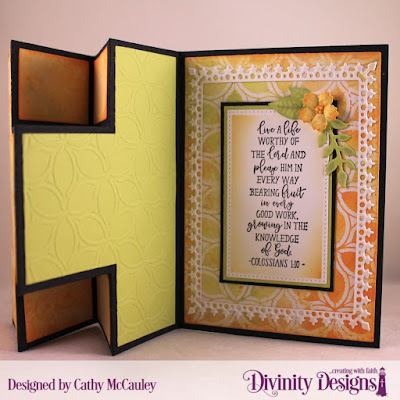 Creative Nugget: Lavish Layers and Pierced Rectangles Dies were used to frame the sentiment on the back panel. 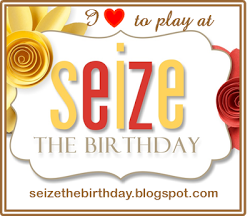 The little floral embellishment was cut with dies from the new Festive Favors Die Set. 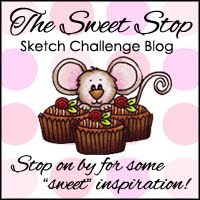 Thanks so much for stopping by...Be sure to pop on over to the new DD Blog to check out all of the fruity creations and have a very blessed 2019! 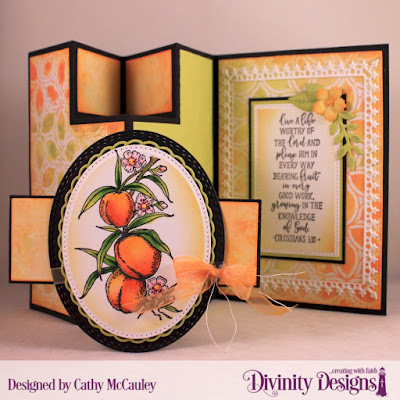 Cathy, both of your projects are amazing!! 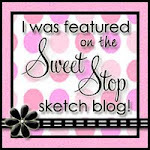 I LOVE how you featured the new stencil and embossing folder...your shutter card blew me away!! Thank you for the endless inspiration!! Happy New Year! HUGS!! 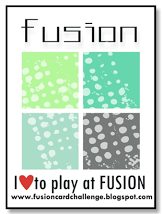 Wow - stunning cards with so much color and interaction. 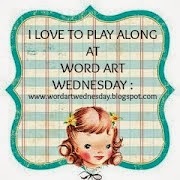 Thanks for playing along with us at the last CAS-ual Fridays Challenge!! 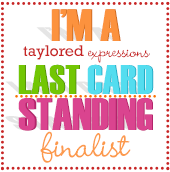 Very pretty and elegant card,love it and fantastic design too. Beautiful cards, love the colouring on the apples. 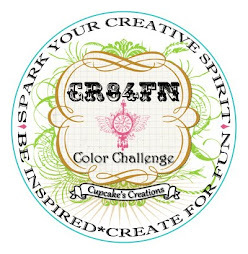 Thank you for joining us for our 'Anything Goes' Challenge #234 at A Gem of a Challenge.